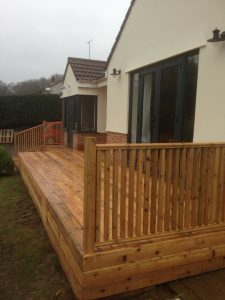 We can create decks using a variety of timbers and composites. 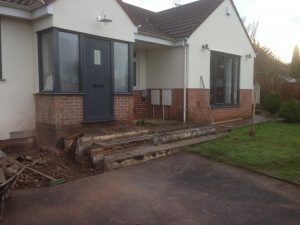 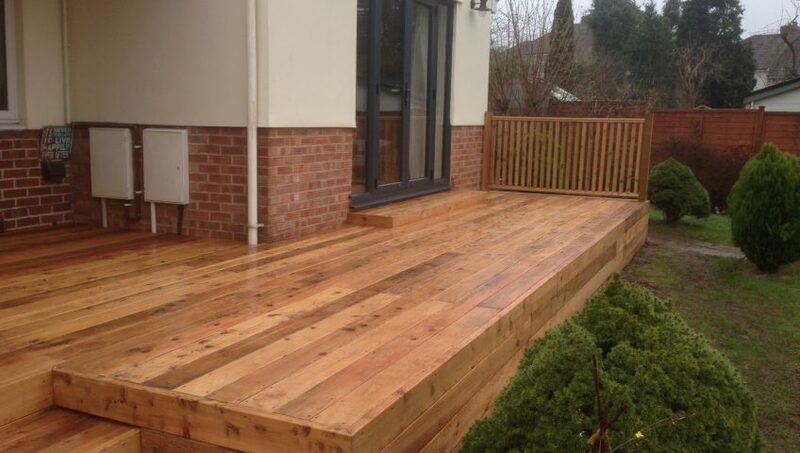 Regular decking has a tendency to become very slippery when not treated well or maintained. 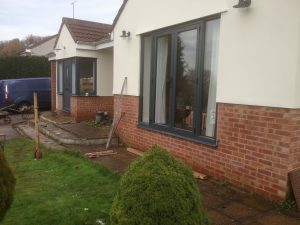 Alternatives have become quite popular and less expensive than previously thought. 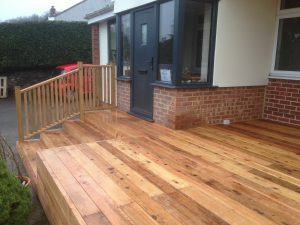 This deck built using Western Red Cedar that we built in Downend has been treated with anti-slip deck stain and given two coats of weather seal oil to ensure it was safe to walk on in wet conditions and would stand the test of time.